While the summer months are understandably seen as a time for relaxing and recharging of the batteries, there is also much that can be accomplished. It is a time when your normal daily routine can be changed somewhat. You can finally find the time to explore that new hobby you’ve had your eye on, or perhaps practice a second language that has eluded you for far too long. It is this strategy that will help you finally master the English language. All you have to do is resolve to use your summer wisely. If you take a look around your area, you may very well find some educational opportunities available to you during the summer that will help you practice your English. This gives you the chance to focus on the language for hours every day, free from the normal distractions that would impact you throughout the rest of the year. Consider an ESL summer camp as an example. This provides for a fun environment where you can be with other students who have the same goals and ambitions in life that you do. 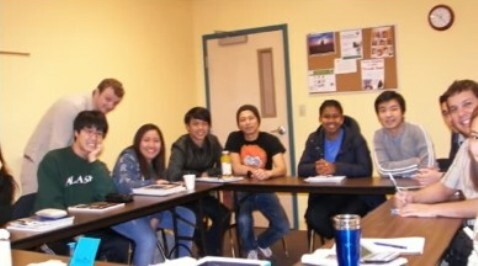 At the same time, you will benefit from being surrounded by native speakers who genuinely want to hear you perfect your English within a short period of time. Many people give up learning a new language because it seems so difficult. There could be many reasons behind this, from not having a proper support system in place to simply lacking the desire in the first place. Whatever the reason might be in your case, just consider the reality that everyone has to start somewhere. You were able to learn your native language, so you will be able to eventually learn to speak English with the best of them as well. Take some time out this summer to evaluate your language goals. Try to carve a few weeks to only focus on English and practice your conversation skills accordingly. You will find that you can learn a great deal in a short amount of time.